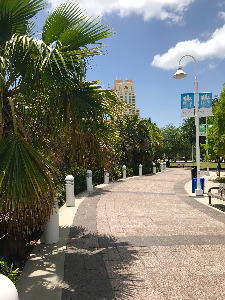 Wanna spend a nice day – go to Tampa River Walk! We requested a Google 360 Loaner camera to film existing Pasco Trails and Proposed Trails this summer. We will let you know if it is granted. FL Trails has put in request to Google for their 360 Loan Cameras. If we are granted the camera, we plan on filming all of the trails in pasco county this year, as well as proposed trail routes. Hardy Trail in Dade City, Fl is a perfect place to spend time actively. 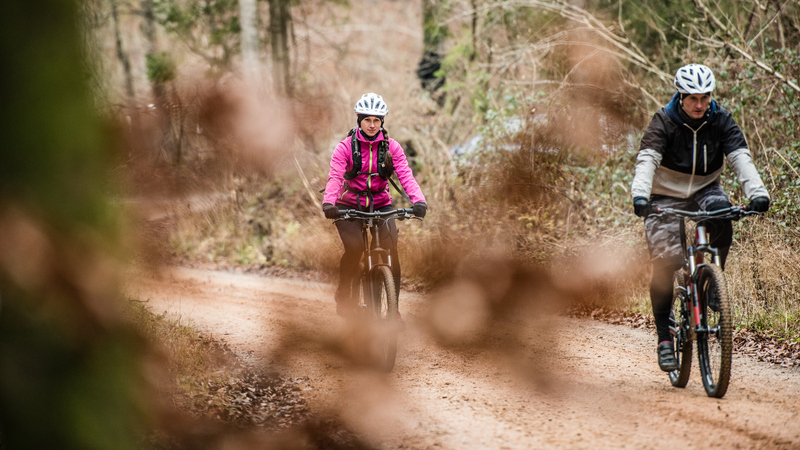 The whole trail is paved, which makes it a good choice for both runners and bikers. Even though it is just a mile long, it is excellent for easy jogging or walk, as well as fast intervals. One of the best aspects of this trail is that it is shaded for most of the day which might be very helpful during the summer days when it is difficult to be active due to hot weather. Running or biking in a place like the Hardy Trail, that is surrounded by trees big enough to provide shade covering the path nearly entirely, would then be even more pleasurable. Trail Jam this Saturday in Dade City from 7am to 11am. There will be free workouts all morning at the Hardy Trail, and bike groups hitting the roads at 8am. Check the updated schedule on TrailJam.com. It is a Free event. There will be free bike helmets for kids, free bike lights, a mini cyclo cross course for kids, and fitness activities for all ages and levels. 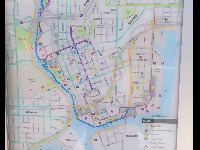 Have you ever thought about riding your bike from one coast to another? I haven’t either, but thinking about that would be pretty cool if that was possible to do. To ride your bike across a state without paying for transportation and enjoying an adventure with friends and family. That would be so much fun! The Sumter Gap is doing just that. This coast to coast trail starts at the Withlacoochee Trail to the west and General James A. Van Fleet State Trail to the east. Starting from one coast of Florida and ending on the opposite coast of Florida. With Florida being so beautiful and the scenery is so breathtaking, I don’t know about you guys but I’m definitely going to get out there and be apart of this and support the Sumter Gap.There are so many benefits not just for us as individuals but for everyone that is involved and participates. This will draw people to come to the area to experience the surroundings that it has to offer, in my opinion it’s like hidden jewels in a box. It will attract more people to the region, allow local businesses to bloom with new customers, and offer more benefits such as economic growth as it builds character and creates more jobs for the region. On a wider scale biking is so much fun, not only with the Sumter Gap, but persons from all walks of life are welcome creating a family atmosphere. It’s safe, fun, and we all can stay active. This new project builds community pride and it gives a chance for locals to interact more with others outside of the community. I think that once this project is up and running persons from all over the world will come to experience this once in a lifetime biking experience especially when riding with friends and family.So I’ll be the first to follow suit with the theme of "grabbing life by the handle bars." I’m excited to see what’s to come out of this new project that this county has not seen for years. See you there and come join us in this awesome adventure we can embark on together as one, Sumter Gap is on its way! See you there! Lets grab life by the handle bars and ride, ride,ride. Sumter Gap Selection is going to the Counties. 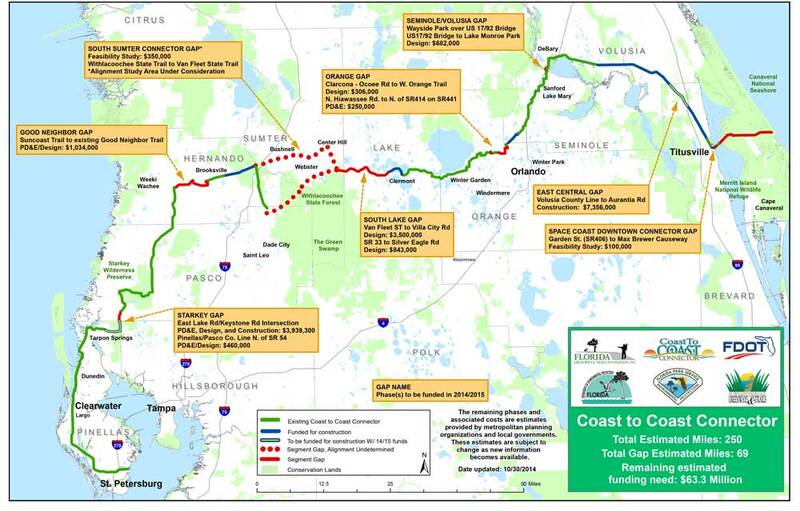 The public process for this 20 million dollar project turned out to be only public for Hernando and Sumter County. Pasco County residents kept in the dark.